South Loop condos and lofts are located near The Loop, the lakefront, Grant Park and the renowned Millennium Park, with the area bordered by Congress on the north, Cermak Road on the south, Lake Michigan to the east, and Des Plaines to the west. Over the past ten years, the South Loop real estate market has seen the construction of many new luxury high-rise condos, as well as a variety of historic row houses that have been rehabbed. Adding to this mix of new and old is the inclusion of South Loop lofts, many of which are the result of old building conversions, making for some very unique real estate options. South Loop Condos For Sale Are HOT! 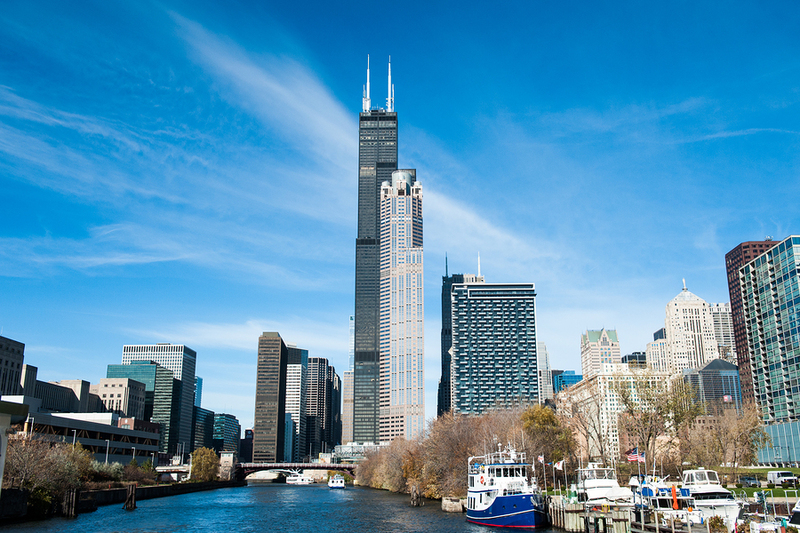 South Loop Chicago real estate is surrounded by a multitude of interesting places to visit. Soldier Field is located on the eastern boundary on the shores of Lake Michigan, and is part of the Museum Campus, which also includes some of Chicago’s most notable institutions, like the Field Museum, the Shedd Aquarium, and the Adler Planetarium. The area is home to Museum Park, a condominium development at the southern boundary of Grant Park, adjacent to Museum Campus. 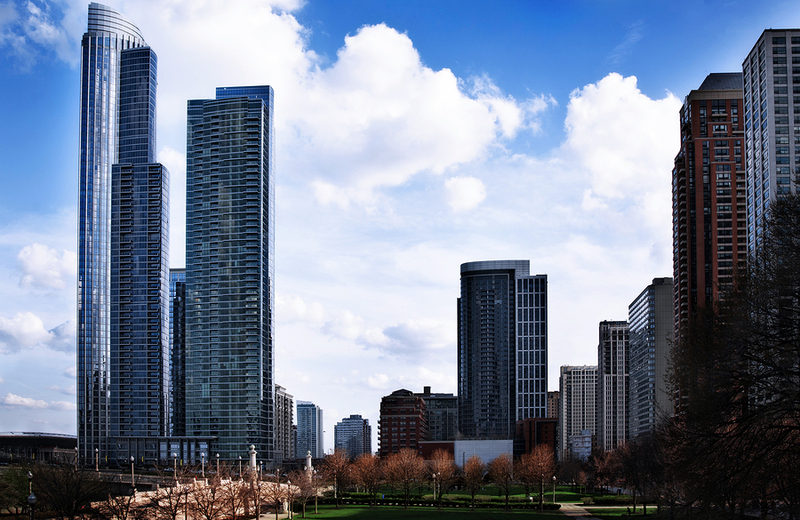 Many of South Loop's condominiums offer breathtaking views of the lakefront, park and skyline, and are just short walks away from Buckingham Fountain, Monroe and Burnham Harbors, the rose gardens, and the beach. Prominent developments include Printers Row and Dearborn Park, which boast some of the most beautiful lofts in South Loop. Shopping and restaurants are all within walking distance. What About South Loop Lofts? Newer construction high-rises dominate the South Loop landscape along it's eastern border, but the many still associate Chicago's South Loop neighborhood with residential loft conversions. A neighborhood with a rich printing and industrial history, some of the earliest buildings around this part of Chicago have been converted into some of the most unique and authentic loft spaces you'll find anywhere. Printer's Row, a tiny sub-neighborhood of the South Loop, has one of the most eclectic atmospheres of any location in Chicago, and lofts here are among our favorites to show clients and loft lovers alike. If you're looking for a South Loop loft for sale, you'll probably have the most luck searching buildings along Dearborn Street, but South Michigan Avenue certainly has its fair share of options as well. Along with its high concentration of lofts and loft style apartments for rent, the South Loop is also loaded with upscale condominium residences that are loaded with desirability, which we alluded to above. Home buyers interested in a luxury condo at a great price will find a great variety of units on the market in buildings like The Grant and One Museum Park East; but to get a more comprehensive understanding of the luxury condo inventory around the South Loop neighborhood, take a closer look at our South Loop condo building directory! Come see South Loop, Chicago! Contact Helaine Cohen to set up an appointment to view real estate in South Loop and find your dream home today.